See a colorful side of porteño culture with this 3-hour walking tour of La Boca. 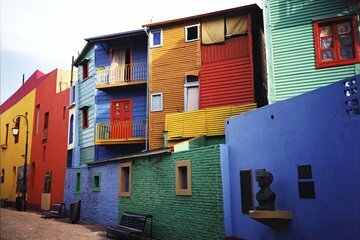 Take pictures of the brightly painted houses, learn about La Boca’s immigrant past, and hear about the birth of Tango in this vibrant area. Get a taste of soccer fever with a visit to the Bombonera stadium, home to one of Argentina’s most important teams, Boca Juniors.